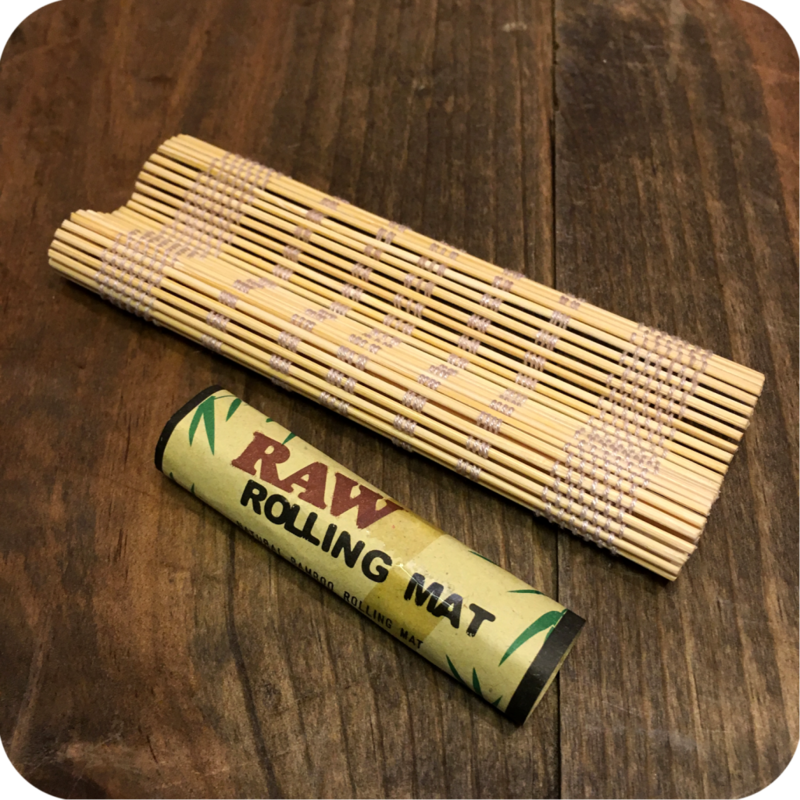 To roll your own cigarette using the RAW bamboo rolling mat, place your finely ground legal herbs or tobacco on the mat in an even line. Once you go through this process a few times you will learn how much product you prefer in your cigarettes. Now, close the mat around the herbs and use your thumbs to roll it towards you. Then, still using your thumbs, do the opposite and roll it away from you. This process is evenly compacting your herbs to so it will easily roll with the paper. 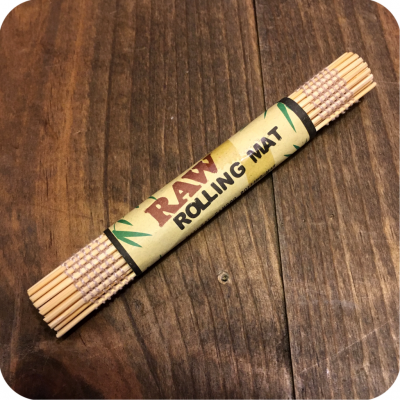 Next, use one hand to grab a rolling paper, and the other hand to pinch and hold your product tightly within the mat. 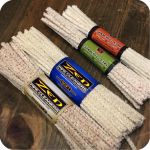 Now, keeping the mat firmly pinched with one hand, open the top up just enough to allow your paper inside making sure the gum is facing you and at the top. Now firmly roll the paper down into the mat using the same thumb technique as before. Roll it all the down until the gum is the last part of the paper showing, then lick it and seal it to finish the roll. Open up the bamboo and you should have the perfect cigarette! Prefer a visual tutorial? 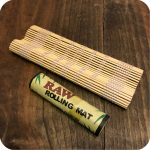 Check out this very informative youtube video on how to roll with the RAW Bamboo Rolling Mat here. If both these instructions are giving you a headache, be sure to check out other RAW products that help you roll the perfect cigarette, like the RAW Hemp Plastic rolling machine in King Size (110mm) or 1 1/4″ (79mm). Tags: Brooklyn, brooklyn glass, brooklyn smoke shop, bushwick, bushwick head shop, raw, Raw Rolling Mat, Rolling Mat.